“I need a hobby,” is a phrase many of us have uttered at one time or another. A hobby that makes money? Discover fascinating facts about a topic? Find treasures you never knew were hiding in your local area? Impress people with magic tricks or juggling skills? Or, perhaps you’re just looking for a better way to spend the afternoon than watching Netflix? Whatever your interests are, you’re sure to find a hobby that suits you in our list. Below, we’ve compiled a list of fun and interesting hobbies to suit all tastes. And, what’s great is that they are all cheap or even free hobbies. So, even if you’re on a super tight budget, you can still enjoy them. Here are 150 fun inexpensive hobbies to get you started. Exercising, working out, training, or whatever you want to call it is a fantastic hobby, because it’s good for you as well! It’s free to go for a walk, and it’s a fun and relaxing hobby – plus, studies show it’s great for your health. Going for a run or a jog is a great way to burn off stress and keep your heart healthy. It’s best to run on softer surfaces, if possible, and to keep your miles per day reasonable to keep your joints and bones healthy too. You don’t need an expensive bike to cycle. So, get your hands on a cheap one, and get out there and start cycling – you can also find cheap secondhand bikes in your area on websites and apps like eBay, Craigslist, and VarageSale. This is a pretty inexpensive hobby if you live near the ocean or a swimming center that’s free or low cost. And, it’s a low-impact form of exercise, meaning it’s not hard on your bones or joints. It’s definitely a great alternative to jogging. Bodyweight training is not just a hobby for 20 year olds. Bodyweight training is a great way to improve your strength, and it doesn’t cost anything either. You need little to no equipment. And, if you do decide you want to do some pull-ups, then you can find pull-up bars for your doorframe that are super cheap on sites like Amazon. Yoga is great for improving your flexibility and mobility – two very important things, especially as you get older. And, you don’t need any equipment, other than a yoga mat, which you can pick up for less than $10. Improving grip strength is great for longevity and a pretty fun hobby too. Practice gripping odd objects at home for extended periods of time and you’ll improve your grip strength. You can even buy grippers to train your grip. A company called IronMind Enterprises makes torsion-spring grippers – basically, it’s a torsion spring fitted with two handles, which you have to try to close. The grippers from IronMind are called Captains of Crush Grippers. There are different models available, with each one requiring more strength to close than the previous one. The hardest of the grippers to close, the number four model, requires 365 pounds of force to close! A classic activity, which always impresses, arm-wrestling is a fun, cheap hobby. And, a great choice if you’re competitive. Train to run a half or even full marathon eventually. This is a great mental challenge, as well as a physical one, as it requires a great deal of endurance! Artistic hobbies are fun, creative and often therapeutic, making them a fantastic type of hobby. And, they don’t have to be expensive either. Sure, you might need some supplies, like pencils, if you’re drawing, for example, but you don’t need to get the most expensive ones. So, check out these hobbies and express your artistic side! Drawing can be expensive if you go to fancy arts and craft stores and buy expensive paper, pens, pencils and other equipment. But, if you buy the supplies on Amazon or at the dollar store, then you can often find some great deals. Creative writing is a great way to spend your downtime. You could write a short story, a poem, or a full blown novel! Create beautiful figures or whole scenes with wood carving. This hobby is tricky, but with a bit of practice, you’ll soon get the hang of it. Whether it’s a Bob Ross style mountainous landscape, a Da Vinci style portrait, or a Van Gough-style watercolor, there are so many different styles and techniques and paintings you can create. Sure, if you start investing in expensive brushes and paints, then this becomes an expensive hobby. But, if you start out with cheap supplies, and start honing your craft, this is a cheap, not to mention, relaxing and creative hobby! Sculpting can be done with various materials that aren’t particularly expensive, like clay. And, you can get really creative with it – and make everything from busts to vases! The art of Japanese paper folding is one of the most relaxing hobbies there is. Plus, you get some great artwork to decorate your house. You can easily learn the art of Origami online, and since you only really need paper to do it, it’s a super cheap hobby! Learn calligraphy and impress your friends and family with your beautiful penmanship. Aside from looking beautiful in and of itself, calligraphy is also pretty useful – you can use it when writing invitations, decorate items, like cups, with it and more! You don’t need a fancy camera to capture some great images. The camera on your phone, an entry level camera or secondhand camera will do just fine. Just start taking photos. Tutorials and tips on taking photographs can easily be found online for free as well. And, if you get good at photography, you could even make an income from it! Check out my post on how to make money selling stock photos. Wordlbuilding involves creating an imaginary world, or even an entire fictional universe. It involves creating maps, a backstory and people who live in the world or universe. You can build worlds and universes for a number of reasons. For example, you could just build a world for entertainment, or use the universe you create for a novel or create a world for a role-playing game. Stencil graffiti involves cutting designs out of paper or cardboard. Then, you place the stencil design onto a surface, such as a canvas or a wall in your home, and then use spray paint to transfer the image/design onto that surface. You can use the stencils you cut out over and over again as well. Remember, that for legal reasons, stencil graffiti should only be done on canvases, or walls on your property, rather than on public property! Learn how to draw cartoons, and get yourself an artistic and fun way to spend your spare time. The supplies are cheap as well. Impress friends, and get a beautiful decoration for your home or garden, with rock balancing, or stone balancing, as it’s also called. It’s a hobby that involves balancing rocks on top of each other, in a variety of different positions, without using any other items that would help to main the balance of the construction. So, you have to balance the rocks without using any items like adhesives, supports, wires, or rings. Paint whatever designs you want onto rocks with rock painting. This is a cheap, creative hobby that the whole family can enjoy. Puzzles and games, whether digital or not, are a classic in the realm of hobbies. And, playing games or doing puzzles is one of the cheapest and most accessible types of hobbies out there. So, check them out, and start having fun. These are so much fun, and it’s easy to spend a couple of hours doing them, not realizing that the time has flown by! If you prefer to do a crossword on paper, then check out these websites for free printable crosswords. Whether it’s a mountainous landscape or a screenshot from your favorite movie, you can find tons of cheap jigsaw puzzles online, especially if you get them secondhand. And, talking of secondhand, you can also find puzzles at local thrift stores and secondhand stores. You can find tons of free Sudoku puzzles online. These are a relaxing way to spend an afternoon, while also using your mind. Do you know what is the tallest mountain in the world? Or who wrote Emma? Well, if you said Mount Everest and Jane Austin, then why not try out trivia games? Even if your trivial knowledge isn’t great at the moment, with the internet at your fingertips you can learn about almost anything. Check out SwagIQ – it’s a live trivia game from Swagbucks that’s held daily. The game, which generally lasts around 15 minutes, includes ten multiple choice questions. There’s the chance to win a cash prize as well, which is paid out in Swag Bucks. Plus, you also earn Swag Bucks for each question that you answer correctly. You can exchange your SB for money via PayPal or gift cards. Check out my review of SwagIQ to learn more. Aside from SwagIQ, you can find plenty of free trivia games online. Chess is a classic hobby for good reason. You get to use your mind, and its strategical nature makes it one of those games that you just want to get better at. Plus, there are even tournaments that you could enter when you improve at the game. Card games are classic and can be played alone or in a group. So, whether it’s solitaire, gin or poker, you can easily have a fun afternoon with a pack of cards. Speedcubing is a hobby or sport that involves completing a twisty puzzle, most commonly, the Rubik’s Cube, as quickly as possible. So, this is a fun, competitive hobby! And, since you can get a Rubik’s Cube at a reasonable price, this is a cheap hobby too. Archeological discoveries in the Middle East trace the history of backgammon back nearly 5,000 years! This makes it one of the oldest board games – you can easily pick up a board at a low cost, and play at any time. It’s a relaxing hobby. If you love craft projects, then you might want to check out the hobbies below. They include everything from making your own jewelry to knitting! So, check them out and start making some great crafts. Wool isn’t too expensive, neither are knitting needles, and you can find plenty of free knitting patterns and tutorials online. This is a relaxing hobby, and one that can add to your winter wardrobe – you can knit scarves and sweaters for the colder months. Or, you could knit throws and pillow covers for your home. Like knitting, crocheting is another cheap hobby. And, you can create some beautiful pieces from clothing to home décor items. Like with knitting you can easily find free tutorials and patterns online. Whether it’s flowers or figurines, there are so many different ways that you can decorate a cake, making this a creative, and fun hobby! Making your own jewelry, whether it’s rings, necklaces or bracelets, is a great hobby. Actually making the jewelry is fun, plus you get some great pieces to wear, and you get to say that you made them yourself. Take up quilting, and you’ll create some beautiful pieces for your home. You can get super creative with the textures, patterns and colors that you use as well. There are plenty of quilting tutorials available online as well. Plus, some fabric, craft or quilt store often have classes on quilting available. Joann Fabrics, for example, holds classes, but you do have to pay for them. Making your own candles is a great hobby to get into since it doesn’t require too much technical skill – and there are tons of tutorials out there on how to make them. Check out CandleTech.com or do a quick search online. And, you can even learn how to make your own scented candles. Get some handmade soaps for your bathroom by taking up soap-making. You can find plenty of websites and articles online that are dedicated to making soap, like TeachSoap.com for example. Macramé involves making a variety of textile items using knotting techniques, rather than weaving or knitting techniques. You can make some beautiful items using Macramé techniques, like wall hangings, rugs, plant hangers, jewelry, and hanging baskets. You can easily learn Macramé techniques online. One website to take a look at is Free-Macrame-Patterns.com. Pinterest also has some great Macramé ideas that you can check out here. Learn how to embroider and create beautifully decorated fabrics. Give them out as gifts or use them to add stylish touches to your home. You can get creative and add materials like pearls, beads, and sequins. And, you can embroider so many different items, like blankets, pillowcases, coats, dresses, throws, and hats. This is a wonderful hobby that gives you a way to treasure important things in your life. Whether it’s your pets, your wedding, or your children, there are plenty of themed scrapbooks you can make. And, the supplies are cheap too. Plus, it’s a great way to organize any photos or any other memorabilia you may have in the house. This is a great hobby for all the family. Making kites doesn’t require expensive materials, and you can easily learn how to do it online. From simple designs, like stripes, to complex artwork, there are tons of great nail art tutorials online. And, the supplies aren’t too expensive, making this a creative and inexpensive hobby. Beadwork involves sewing beads onto materials or attaching beads to each other with a sewing or beading needle and thread or thin wire. Learn about beading and add beadwork to clothing, pillows and other items, or use beads to create items, like jewelry or wall hangings. Check out Beadaholique.com for beading projects and tutorials. Tatting is a technique that involves making durable lace from a series of knots and loops. You can use this technique to make lace edging, doilies, accessories and a plethora of other items. Place flower petals and leaves into a flower press, and it will flatten them, exclude light, and dry them out. Pressing the petals and leaves creates beautiful dry flowers that you can use to decorate your home, or in craft projects. It’s an inexpensive hobby that anyone can get started with. If you enjoy building things, then you might want to consider one or a few of the hobbies below. You can build model rockets using a variety of inexpensive and easily obtainable items, like wood, paper, and plastic. Check out the National Association of Rocketry website for articles on model rocket building techniques and this introduction to building a model rocket from Instructables. Learn how to make puppets – it’s a fun hobby for the whole family, and it doesn’t have to expensive either. You can easily make them using common, junk drawer items, like cardboard tubes, envelopes, tennis balls, spoons and socks. Check out the puppet-making tutorials from ProjectPuppet.com here, and the articles and tutorials from Puppetry-Arts.WonderHowTo.com here. Building a dollhouse is a creative and relaxing hobby. Plus, you have a great item to display in your home. And if you get good enough at making them, then you can even sell your dollhouses. This is a great hobby since there are so many different styles of houses you can make, such as Victorian, Georgian and Tudor. There are plenty of articles out there on how to make them as well, like this one from SmallHouseModels.com. Matchstick Modeling involves making scale models from matches. But, you don’t use matches with combustible heads. Instead, you use a special modeling type, which you can get in art and craft shops. You can build your models from scratch, as many hobbyists prefer to do, or you can buy kits that include instructions, pre-cut card formers and modeling matches. Many hobbies in this list are indoor hobbies – although some, like exercising cross over a little, and many of these hobbies, like drawing, doing a crossword puzzle or writing could technically be done outside, they are not strictly outdoor hobbies. So, we’ve dedicated a section to hobbies that are considered to be outdoor-only hobbies. And, while some of them are active, as you might expect, we’ve also included outdoor hobbies that are suited to the less active. So, regardless of your activity level, you’ll still be able to get outside and enjoy a great hobby. The equipment you need to snorkel is minimal and pretty cheap as well. Discover beautiful marine life just beneath the surface of the water. It’s a great hobby if you live near the water. Go camping and get out in nature and spend time with your friends and family, or enjoy some alone time. Whether it’s in the forest or near the coast, camping can be a whole lot of fun. If you live near the coast, then why not give surfing a try? Even, if you fall off the board a lot at first, which you likely will if you’ve never surfed before, you’ll have a good laugh trying to get back on the board. As with cycling, you don’t need expensive equipment. You don’t need to get a new wetsuit or board every season for example. Buy a cheap second-hand board, and get out there on the waves. Plant flowers, food or even trees – gardening is a hobby that gets you outside and uses your creativity as well. In addition to planting stuff, you can also add decorations, create different style flower beds, make plant hangers, and much more. If you’re looking for a more active outdoor hobby, then try longboarding. Compared to skateboards, longboards tend to be more stable, and have more traction and durability. So, if you’ve tried skateboarding and found it a bit too difficult, then you might want to give longboarding a try. You can easily pick up a secondhand longboard, and once you have your longboard, and a helmet for safety, of course, this hobby is totally free. Plus, longboarding is a fun way to get around the neighborhood! Geocaching is an interesting hobby, and one of the most modern ones on this list. Basically, it’s an outdoor hobby where people use a mobile device, GPS receiver, and other navigational techniques to hide and find containers at specific locations across the world, which have been marked by coordinates. These containers are called “geocaches” or “caches”. They’re waterproof containers, which usually hold a logbook, and in some cases, a pen or a pencil, so the person who finds it can sign it with their code name and date it to prove that they found the cache. In the cache, there are also sometimes small items and trinkets that people can trade. Once you find a cache, you put it back exactly where you found it. Check out Geocaching.com. On there, you can get the app and start finding geocache locations near you. Parkour is a hobby that’s not for the faint of heart. It’s an incredibly active hobby that involves a person getting from one point to another, such as from the floor to over a brick wall, in a quick, efficient way, without using any equipment to assist them. Parkour includes a variety of movements, like climbing, running, swinging, vaulting, rolling, jumping and crawling. It’s sort of like gymnastics, but it’s performed outdoors, in a more urban setting. Check out this video to get a better idea of what Parkour entails. If you’re looking for a super active, high energy hobby, then parkour could be for you. For example, a YouTube channel called TappBrothers has plenty of videos on Parkour that you can check out here – the channel even has a beginners guide to parkour, which you can check out here. Just remember that it involves athletic movements, so as with any physical activity, always keep safety in mind. There are plenty of articles out there on parkour safety as well – like this one from American Parkour. Another activity for those who love active hobbies is rock climbing. Whether it’s on natural rock formations in your area, or on artificial walls, this is a great hobby for building strength, endurance and physical fitness. You could easily take a class in your area, and start honing your rock climbing skills and experience. Aircraft spotting, which involves identifying aircraft and tracking the movement of aircraft with photos and by recording information about airports, air traffic control communications and airline routes is a hobby that anyone can do. Getting started is super easy and cheap! If you enjoy nature, then birdwatching could be the hobby for you. You observe and identify bird species, either using just your eyes, or with devices like binoculars or telescopes. You can also listen for bird sounds, and identify birds by ear, rather than by eye. If you like the outdoors and are competitive, then you might want to try orienteering. It’s the sport of navigation. It involves using a map and a compass to get from one point to another in a diverse and, often, unfamiliar terrain, while moving quickly. It’s basically a timed race that allows you to improve your health, use skills, and enjoy the outdoors. Collecting things is a great hobby, because you have the activity of actually finding items to add to your collection, but you also get a collection to display, so you get double the benefits. There are plenty of things you can collect too! Stamp collecting involves collecting postage stamps. Anyone can start doing it, and it’s a pretty relaxing hobby. Obsidian, azurite, malachite – there are some beautiful minerals out there! And, you can turn collecting them into a hobby! Mineral collecting is a great way to enjoy nature, but also to get some beautiful pieces to display in your home. Check out the Mineral Society of America to learn more. This site has a page about mineral collecting that you should read if you plan to take up this hobby – read it here. Find rare coins, jewelry, and plenty of other old trinkets, collectibles, cash and more with metal detecting. You can pick up a metal detector at a reasonable price, and once you have one, this hobby is free! Seashells come in a variety of beautiful colors, shapes and textures, so collecting them can be a great hobby. You can learn about them, display them or even sell them! Sea glass is made when glass from things like glass bottles, and jars, is weathered by the sea. As the glass is tossed around in the sea, after several years, it becomes smooth, frosted, and polished. You can find multiple colors, but the most common colors are brown, white, and green – clear sea glass is also common. You also find blue and purple sea glass, although they’re less common, and rarely red, yellow, amber, orange, and pink sea glass. And, collecting it can be a fun hobby! Plus, you have it to decorate your home with. Check out your local beaches – you’re more likely to find it on beaches that are close to cities, commercial zones and industrial areas since it starts out as litter. Rock beaches are often a great place for finding it too since sea glass accumulates in places where there are lots of rocks. Collecting rocks is a cheap and exciting hobby. It’s interesting to find and identify new types of rocks in your area. Read this guide on Collecting for Beginners – from irocks.com. Whether it’s learning about a new culture, studying a new subject, or discovering a new way of thought about a topic, learning something new is a super interesting way to spend your downtime. In this section, we cover educational hobbies. And, best of all, what you learn about doesn’t have to be a cliché school topic, like math, or science (and if that is what you want to learn about, you can do!) – you can learn about pretty much anything that takes your interest – whether it’s music, movies, travel or indeed math or science! Become a railfran and learn about your local railway, help with railway station and rolling stock preservation efforts, study the history of rail transport and other aspects of rail transport. Philosophy is a fascinating topic with a rich history – so if you love to question the meaning of life or the workings of the universe, then consider learning about philosophy. Like reading or listening to podcasts, TED talks are great for learning about new things. You can easily watch them on YouTube for free. Whether it’s German or Mandarin, learning a new language is a really useful hobby. If you love to travel to a particular country, then knowing the local language is a huge benefit. Plus, it opens up translation work, so if you ever wanted to turn your second language from a hobby into a paying job, then you could. Did you know that a lot of universities, such as MIT and Yale, post course materials online for free? So, you can basically take degree courses for free. Of course, you don’t get the actual course credit or degree at the end, but you’ll still have the knowledge without paying a cent for it! MIT, for example, offers its course content through a web-based publication called MIT OpenCourseWare. The website offers pretty much all of MIT’s undergraduate and graduate-level course content that anyone can read. Check it out here. Yale provides free introductory courses online too, which you can learn about here. Learn about atmospheric chemistry and atmospheric physics, and atmospheric effects on our weather with meteorology. This Quora post has a lot of resources for learning about meteorology. There’s a thread on Reddit all about meteorology as a hobby as well, so check that out here. It’s a great hobby if you like science! With amateur astronomy, you can observe stars, planets, and other celestial objects using just your eyes, or with binoculars. It’s an interesting hobby, as some amateur astronomers actually make contributions to the science of astronomy – like by monitoring stars, or by discovering transient objects, like comets. Folklore is a very interesting topic, and since pretty much every country has its own, there’s plenty to learn about and plenty of countries to choose from – For example, I have read many books on folklore in Scotland, Wales, and Germany. Since folklore tales, fairy tales and myths often reflect the time in which they were written, it’s also good for seeing how society has evolved, and learning about the history of these tales, as well as their meanings and metaphors for society and the world. Whether it’s booze, coffee or cakes, there are plenty of great hobbies around for food-lovers and beverage connoisseurs. Here are a few that you might want to try. With ingredients costing less than a dollar in many cases, baking cakes, and cupcakes is affordable and fun – after all, a 25 pound bag of flour costs just $7 at Walmart! And, a quick Google search for the term “baking ideas,” or the name of the item you want to bake, like “cupcake recipes” will generate plenty more results. Also, I’ve found that baking cupcakes and other deserts generally works out cheaper than buying them – plus they taste way better too! We all have to cook – but you can turn cooking into a hobby, and more importantly, something that you enjoy doing! Learn how to cook meals from a cuisine you’ve never cooked before – just branch out and try new dishes. Online, you can find tons of recipes, and you can also learn how to cook online as well. Brew beer, wine, or cider from home – it’s easier that you think. And, the supplies aren’t too pricey either. Learn how to roast your own beans, and turn green coffee beans, into tasty roasted beans that you can enjoy at home. It’s not too difficult or expensive either. Plus, you can try out different beans and roasting methods. Barbecuing can be a fully-fledged hobby. So, if you’re good with a grill, then you might want to consider it. Plus, there are even BBQ competitions in some areas. With just a grill, and a few cuts of meat, you can start out with this hobby – and you can learn different cooking methods, and test out different meats, vegetables and other ingredients. Check out YouTube and blogs for tutorials on barbecuing. This once old-fashioned skill has become a modern hobby. It’s a cheap hobby that actually saves you money – preserve fruits, vegetables and other items. There are few scents better than the smell of bread baking! So, consider making bread as a hobby – but without using the bread-maker! It’s a good way to create more rustic and artisan bread – and you get to say that it’s completely hand-made. Plus, bread is so cheap to make, that you’ll probably save yourself some money in the process. And, homemade bread tastes so much better. Does saving money interest you? Are you always looking for ways to make money? If so, then you might want to check out one of these hobbies. 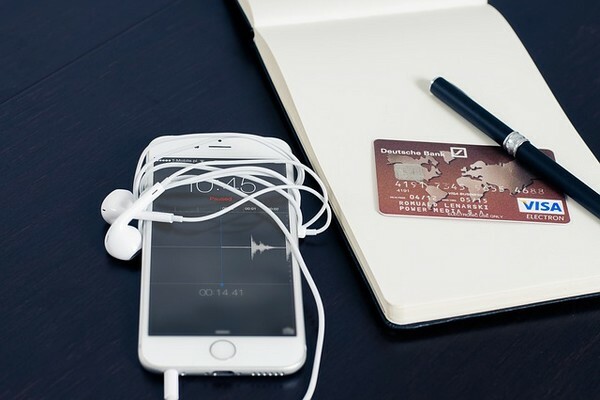 Managing your money can be surprisingly cathartic and it can relieve a lot of stress! It’s nice to know exactly where your money goes each month. Go through your bank account to see which bills go out when, and to review discretionary spending as well. Then, you can compare your bills, spending and what you earn, and create a budget from there. You can check to see if there are any areas where you can cut down – for example, you might want to ditch the cable for a streaming service, like Netflix, Hulu or Prime video. Budgeting can then become a weekly hobby! Check your numbers each week to see how well you’re doing and adjust your budget when you need to – remember, a good budget is a flexible one! Couponing is another surprisingly enjoyable hobby – hunting down coupons, combining them, and watching the savings add up is pretty fun! And, it goes hand in hand with budgeting – so you can combine these hobbies. Check out our article on how to start couponing for beginners to get started. It covers tips on where to find coupons and how to use them to save the most money. Investing your money is a rewarding hobby. You’ll improve your overall financial health, and secure your financial future – if you invest successfully. Most people, however, don’t know where to start with it or worry that they need hundreds or thousands of dollars to get started. But, this isn’t the case – you can actually get started with as little as $1. Really! With micro-investing, as it’s called, you can invest small amounts. One of the best micro-investment apps is called Acorns. It allows you to invest your spare change. Check out our apps like Acorns article for more micro-investing apps and websites. Retail arbitrage is the process of buying something at a discount and then reselling it for a profit. So, for example, you might find an item in the clearance section at Walmart for $8, and then sell it on eBay later for $15. So, if you love finding a good bargain, and making money, then this could be the hobby for you. Are you a social butterfly? If so, then you’ll probably enjoy the hobbies below. You can find cheap board games in thrift stores and dollar stores. You can also find some great secondhand games at low prices online. Have your friends around and have some fun board game nights. Check your local community calendar or website, and your local paper to see what events are going on in your area. Often, you’ll find that these events are free to attend. If you enjoy role-playing games on your PC, then you might want to try a live action role-playing game – or LARP, as they’re most commonly known. With Larping, people actually physically act out their character’s actions. So, they play their character in real life. Players pursue the goals of their characters in a fictional setting that’s represented by the real world while interacting with each other in character. The outcome of the player’s actions is mediated by game rules or by consensus among players. Table tennis is great for couples and groups of four. You can pick up a table for a reasonable price, as well as a ball and bats. If you love reading, and a great debate, then you might want to start a book club. You can invite friends and family around to discuss a title that you’ve all read, and enjoy snacks, and food as well if you want to. Pick one night a week, or a month, or however often you want to host a regular dinner party. It’s not too expensive, and you and your friends and family can even alternate whose night it is to host the dinner party. And, compared to eating out at a restaurant, having a dinner party is a lot cheaper. Hold a quiz night regularly, and have fun with friends and family. You can even combine this with other hobbies on this list, such as a dinner party, or board game night. Join a community sports league, and you’ll have fun, improve your fitness, and make new friends. Consider what sports you like, and then research community sports leagues in your area. And, if you’re a little intimidated by joining by yourself, then ask a friend to join with you. An internet search for the term “community sports leagues near me” is a good place to get started, as it generates plenty of results. You can also enter the term “community sports leagues,” followed by the name of the area where you live. Play poker with friends, or online. You can learn the rules of the game online if you’ve never played poker before. If you’d like to help other people, then why not try out one of the activities below. You get a rewarding way to spend your spare time and will help other people in the process. Whether it’s a cat shelter, or a dog shelter, helping out at a local animal shelter can be a highly rewarding hobby if you love animals. We mentioned playing for a local sports team above, but if you’re not really the athletic type, but would like to contribute to your local community, then why not help out a local team? Whether it’s coaching, refereeing, or just helping out in general, getting involved in local sport is a great hobby! Raise money for your community or for a charity close to you by organizing a fundraiser. You could make it small or a big – and you can combine it with one of the hobbies above, like a quiz night for example. Or, host an auction for example. There are plenty of fundraising ideas online too. Elderly people in nursing homes, family members who don’t get many visitors, military personnel and prison inmates could all use a boost. So, consider writing to them. Paper, envelopes and stamps aren’t too pricey, making this a cheap hobby. If you’d like to write to a particular group of people, then a quick internet search for “write to [insert group name]” can get you started. So, you could enter the term “write to the elderly,” for example. Similarly, terms like “send a letter to [insert group name]” or “write a letter to [insert group name]” can also be useful. For example, when you enter the term, “write to the military” into a search engine, lots of websites, come up, such as AMillionThanks.org. Help out your homeless community by serving soup at your local homeless shelter. Volunteering your time to people who don’t have a home is a wonderful thing to do with your spare time. If you have skill, knowledge, or experience with a particular subject, then you might want to consider mentoring someone. Children and adults alike need good role models who can tutor them, build their skills and offer up valuable tips and advice. Whether it’s decorating, decluttering, or repairing things, there are plenty of home-based hobbies that you can try out. So, check out our list, and give one of these home hobbies a try! Restoring furniture is a super thrifty hobby. Buy a cheap item, or take an item in your home, and restore it to its former glory. You can completely change the look of a piece. For example, you could get some patterned fabric and turn a drab beige chair into a vibrant piece for your living room. Repurposing, also known as upcycling, is the practice of taking an old item that you might otherwise throw away and turning it into a new piece of furniture. It’s a super thrifty hobby, and a great way to update your home, without spending a ton of money. You can find tons of ideas for repurposing furniture online, and tutorials as well. Learn to live as self-sufficiently as you can with homesteading. Build a garden for growing your own fruits and vegetables, and save money on buying them. Or, even keep your own chickens for fresh eggs. This is definitely one of the more time-consuming hobbies on this list. Having carpentry skills allows you to make things, restore things, and fix things while saving yourself money! You can start by learning basic carpentry skills online, and then increase your skills from there. Learning how to do repairs and maintenance on your home can save you money – and prevent a stressful situation happening when something breaks. Of course, for safety reasons, some tasks, such as electrics, should always be left to the professionals. But, others, like fixing a leaky faucet, or a squeaky door can easily be done. There are plenty of home repair guides and articles available online, like this one from HowStuffWorks.com. Turn selling your old stuff into a hobby. You can sell old stuff, and buy new stuff to add to your home – think of it as your new redecorating hobby. Why don’t you redecorate your bedroom, or redesign the living room? It’s not as expensive as you might think. Learning about interior design can be a whole lot of fun. Read some free tutorials online and completely revamp your home. Do you like books? Do you spend a lot of time on your Kindle device, or enjoy talking about books with friends? If so, then you might want to consider one of these book-related hobbies. Love reading? Then, why not become a book reviewer? You don’t need any special credentials or experience, or anything like that. Authors need reviews to help them sell their books and to get feedback. And, in return for reviews, they give books away for free. So, this is sort of like a twofer hobby – you get to review and read, for free. Here are a few places to find free opportunities. Nowadays, you can find millions of free eBooks online, making reading one of cheapest indoor hobbies out there. And, there are plenty of ways to get discounts on them too. Project Gutenberg – get access to more than 57,000 books. Bookperk – you can save up to 83% on eBooks. Bookbub – find free and discounted books. ManyBooks.net – get thousands of free books, including Kindle books. Freebooksy – find a selection of great free books. Bibliomania – read the classics for free. Goodreads – browse through lists of thousands of free and cheap eBooks. Amazon Prime – For $10.99 a month, in addition to free shipping, and other benefits, members get access to more than 1,000 free books through Prime Reading, and through Amazon First Reads, you get early access to one new book each month from a selection handpicked by the site’s editors. Plus, if you have a Kindle device as well, then you can borrow one book at a time, for as long as you want from the Kindle Owners Lending Library, for free. Reading comic books and graphic novels is a great hobby. And, there are so many different books and novels out there, so there’s plenty to keep you occupied! Learning a new skill is challenging and fun, and you can impress others with your new found talents. So, check out these skill-based hobbies! Fun and great for improving your hand-eye coordination, juggling is a great cheap hobby. Plus, it always seems to impress people! Get a few balls, or bean bags, which will cost you less than $5, watch an instructional video online and start practicing! Learn magic and impress your friends and family with your tricks. Magic is a super fun hobby and one that amazes people, regardless of their age! And, it doesn’t have to be too pricey – you can pick up a book of magic tricks at a low cost, and get them online for free as well. If you know how to pick a lock, then you don’t have to panic next time you get locked out of the house! An interesting skill to have, anyone, can learn how to lock-pick. Just make that sure you only use your newfound lock picking skills to unlock things you own! Have a coat that you love with a hole in it? Well, don’t throw it out. Learn how to repair damaged clothing instead. You get yourself a new hobby and save some money in the process. You can find plenty of tutorials online as well. Plus, you can easily find used sewing machines at a low cost at thrift stores, garage sales, and on apps and websites, like OfferUp, Facebook Marketplace and Craigslist. Tearing a deck of cards will always impress people. It requires great hand strength and skill. But, anyone can learn how to do it. Check out this article from BreakingMuscle.com to learn how to tear a deck of cards in two. Learning how to tie knots is a useful skill to have, and it’s pretty impressive too. Check out this post from Instructables.com on how to make basic knots. Yo-Yoing is a fun hobby that’s super cheap and accessible. All you need is a yo-yo, and a few tricks to learn of course! You can easily learn yo-yoing techniques and tricks online, for free. YoYoExpert.com, for example, features tricks and tutorials. Handwriting analysis, also known as graphology, involves analyzing a person’s handwriting to identify the writer, or to evaluate personality traits. It is an interesting subject, and, one that you can learn online, for free. Check out this website for free graphology courses. Good exercise and great fun learning to dance is something that anyone can do, and since there are so many different styles, you’re sure to find one that suits you. Learn how to cut your hair, and not only will you have a new skill, but you’ll save yourself so much money! One of the most rewarding hobbies is learning a new skill. While many of the hobbies we’ve mentioned could be done online, like reading, or listening to music, for example, in this section, we’ve included online-only hobbies. So, if you spend a lot of time on the internet, then one of these hobbies could be for you. 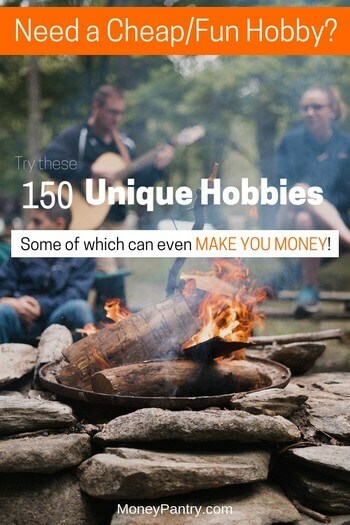 Give one of them a try – as an added bonus, these online hobbies aren’t just cheap, they can actually make you money! Blogging is a fun way to share your interests and knowledge with others. Maybe you like baking cupcakes. If so, then offer your recipes through a blog. Or perhaps you love to read, then if so, review books and put them on your blog. Get paid to or reward websites allow you to complete a range of tasks that you probably do already, like playing games, shopping online, browsing online and giving your opinion. Join a few of these reward websites and you can get yourself a full-time hobby! Plus, they pay. Swagbucks for example, one of the biggest reward websites out there, gives you points called Swag Bucks (SB). And, you can exchange them for money via PayPal or for gift cards to popular retailers, like Amazon. This is a good alternative to starting a blog for those who don’t enjoy writing. Whether it’s teaching people how to cook, creating makeup tutorials or even just making vlogs of your daily life, there are plenty of things you can create a YouTube channel about. And, once you reach a certain number of channel views, you can even start making money from YouTube ad revenue. Take a course on anything from creative writing to graphic design online. One website called Skillshare has tons of video courses available, and you can get a free trial too – so you can learn stuff for free for a month! Whether it’s baseball, soccer or basketball, setting up and managing a fantasy sports team is a cheap, easy hobby that anyone can do. This is something that anyone can do, and if you’ve ever wanted your own radio show, then podcasting is a great alternative! And, your podcast can be about anything you want. Plus, if your podcast becomes successful, then you could even make money from advertising. Taking surveys is a cheap hobby – and one that can pay! There are tons of paid survey websites out there. One of the best is MySurvey. 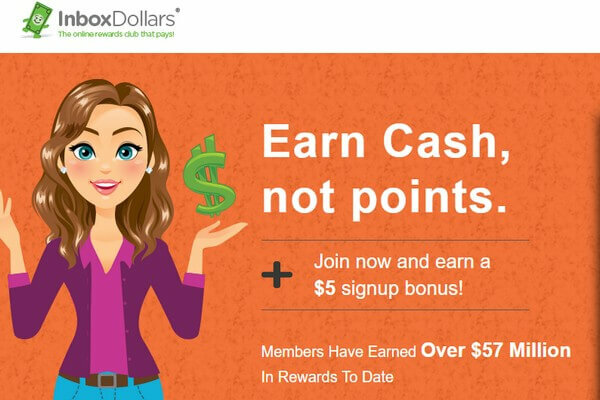 It pays you up to $5 per survey. You can choose to get paid in gift cards, e-certificates, and vouchers, or money if you want. We all read articles from Wikipedia at some point – and you can help to improve the website by editing it. If you’re knowledgeable about a topic, whether that’s horror movies, World War Two, or baking, then you can edit a Wikipedia page about that topic. This is a super fun hobby that anyone who’s knowledgeable about a topic can do. You don’t technically need to have an account to edit a Wikipedia page, but if you make edits and you aren’t signed into an account, then your IP address will be displayed. So, we recommend making an account – since when you edit from an account, your edits are attributed to a username, rather than your IP. Plus, it’s free and quick to make one. If you love music, then you might want to consider these music-related hobbies. It doesn’t have to cost much – but it’s a fun, and relaxing hobby. The Spotify app is free, but songs play in shuffle mode. There’s a paid, premium option available, which allows you to listen to songs in order, lets you skip an unlimited amount of songs, and includes no ads. It costs $9.99 a month. There’s a 30 day free trial available. Amazon Music Unlimited, which gives you access to tens of millions of songs gives you a free 30-day trial. It costs $9.99 a month after that. If you love music, then why not try your hand at composing it? Anyone can do it, and there’s a handy guide for composing that you can check out, for free here. Whether it’s the guitar, piano or flute, learning an instrument is a great past-time. It’s an incredible feeling when you play your first song after months of learning. It definitely requires patience, but it’s well worth it. Plus, you don’t have to pay for lessons – you can easily learn from videos online, on YouTube, and in articles. Many of us would love to be able to sing – well, technically, anyone can sing! As with any musical instrument, to be able to sing, you need to learn how. Check out these articles from the BBC on how to sing. In this section, you’ll find history-related hobbies. So, if you love learning about historic events then consider taking up one of these hobbies! Whether it’s your great grandparents, or your grandparent’s great-grandparents, finding out information about your family history is fascinating. This is quite a time-consuming hobby, but it’s definitely worth it. This is certainly one of the more exciting and interesting hobbies out there. Plus, it’s great to share what you find with other members of your family. Learn about one of the biggest events in American history. There’s plenty to learn about, and the Huffington Post has an article on how to become a Civil War Buff, so check that out here. You’d be surprised by how many museums there are that are totally free to enter. Some are always free, whereas other have specific days of the week, month or year where they offer free admission. It’s a great way to spend the day, and you learn something as well. Above, we’ve covered a ton of different hobbies, so whether you want to express your artistic side, learn a language, or get out on the waves, there’s probably a hobby that suits you. But, in this section, we’ve included even more hobbies to choose from – ones that don’t fit into the categories above. So, take a look, and see if there’s a hobby below that could become your new passion. Whether it’s movies from the golden age of cinema, horror movies from the 90s or new releases, watching movies is a cheap way to spend an evening or a weekend. Plus, you can watch a lot of them for free, or for a low cost. One of the easiest ways to watch tons of movies at a low cost is to sign up for a streaming service. Keeping up to date with news and current affairs is an easy, free hobby that anyone can do. Plus, you can also learn what’s going on in other countries, by keeping up with international news as well. And, becoming a news buff gives you plenty to talk about in social situations as well. If you enjoy radio technology, and you’re pretty social, then you might want to try amateur radio. It’s a popular hobby where people use amateur radio to talk to others – whether it’s people in their town, or in another country, or even to talk into space. It’s a social and educational hobby. 141. Go to the movies – see 30 films a month for the price of one! Going to the movies can be a super cheap hobby if you sign up for MoviePass. You pay just $9.95 a month, and can watch 30 movies a month at no additional cost! Check out our MoviePass review to learn more. Meditation is an ancient practice, which is incredibly beneficial. It can relax you and help you to clear your mind. You could break or even set a new world record if you put the time and effort in. Learn more about setting or breaking a world record at the Guinness World Records website. A completely free hobby that you can do alone or with others – plus, you can do it any time you’re in public. Just relax and take in the sights of people going about their day! Make a themed list, and then work through it. For example, you could create a list of all of the movies Martin Scorsese has directed and then watch those movies over time or create a list of all of Mark Twain’s works and then read each title on the list. Knowing how to code is an incredibly valuable skill to have nowadays. Coding allows you to develop apps, create computer software, build games, create websites and more. And, you can easily learn about coding online, for free. You can take free coding classes at Codecademy.com, and at Code.org. Teaching your pet tricks is a great way to bond with them, and a fun hobby for you. You can teach your dog simple tricks, like paw and sit first, and then move onto more complex commands. Check out this article from DoggieBuddy.com for 52 tricks to teach your dog. And, it’s not just dogs that can be trained either. You can actually train cats to do tricks – my cat responds to commands, like “paw.” You just need a lot of patience, and much shorter training sessions – dogs do respond better to training since they actually want to please you, whereas cats will only perform if they actually feel like it! PetFinder.com has a post that offers a few tips for training cats, which you can check out here. Always keep in mind that pets respond far better to positive reinforcement, such as treats! Visiting yard sales in a good way to spend a weekend. It’s much cheaper than going to regular stores, plus you can often find some pretty unique items there. Become a documentary buff, and learn tons about new topics, from space to music. Listening to podcasts is a cheap hobby, and, there are plenty of them available, so whether you love listening to comedians, learning a new language, or keeping up with current events, there’s sure to be a podcast for you. So, you know that you want a hobby – but you’re not sure how to choose one from our list that suits you. Well, we’ve got a few tips for choosing the right hobby. Our first tip is to just try out a few different hobbies. You’ll soon get a feel for which ones you like, and which ones you don’t. So try reading, give baking a go, play a chess game or two – just try new hobbies. You might find you love a hobby that you never expected to enjoy, and of course, hobbies that you thought you’d love you might not like. Outside of work, and spending time with family, what is it that you enjoy? Do you love reading, and socializing with friends? If so, then why not start a book club? Maybe you’ve always loved looking up at the stars? If so, then why not take up amateur astronomy has a hobby. Think about your interests and then build on that. Maybe you admire authors who create stories that engross the reader. If so, then consider writing a novel of your own. Or maybe you admire those who give back. If so, then volunteer and help others. Perhaps you’re always impressed by people’s creativity with furniture restorations on Pinterest – if so, try to restore some furniture of your own. Take into account your personality traits when choosing a hobby. If you’re an introvert, then joining a local sports team is probably your nightmare! But, something like yoga, drawing or writing would probably suit you perfectly. Similarly, if you’re a high energy person who doesn’t like to sit still, then a hobby like knitting wouldn’t be for you. But, something like running, parkour or surfing would be great for you. This isn’t to say that if you’re an active person you wouldn’t enjoy a sit down hobby, or that if you’re an introvert you wouldn’t enjoy social hobbies – but you’re probably more likely to enjoy hobbies that suit your personality the most, more than those that oppose it. The great thing about hobbies is that they do develop our skills – so even if you’ve never painted before, you can learn to over time, or even if you’ve never played table tennis before, again, you can learn to. But, some of us are naturally more skilled at certain things than others – some of us can draw a full portrait, where others struggle to draw a straight line. Some people can sew their clothes to make them look like new again – whereas others, like me, can’t even do a single stitch! So, it’s always worth taking into account what hobbies you might already have a natural inclination for. For example, if you’re good at remembering facts, then trivia games might be for you. 6. What do you talk about most? When you’re having a conversation with someone, which topics do you love to talk about? Maybe it’s movies? If so, then become a movie buff – watch films from the great directors, like Orson Welles, Martin Scorsese and Alfred Hitchcock, work your way through IMDB’s top 250 films, and learn more about movies. Think about the topics you most often talk about and see if there’s a hobby that ties into that. As you can see, there are more than a hundred cheap hobbies out there that you can try. So, if you’ve been thinking “I need a hobby”, but are on a budget or don’t want to spend a ton of money, then you should definitely give one of the above hobbies a try. They allow you to enjoy your spare time, and, some of them even make you money. Let us know in the comments below what your favorite cheap or free hobbies are.